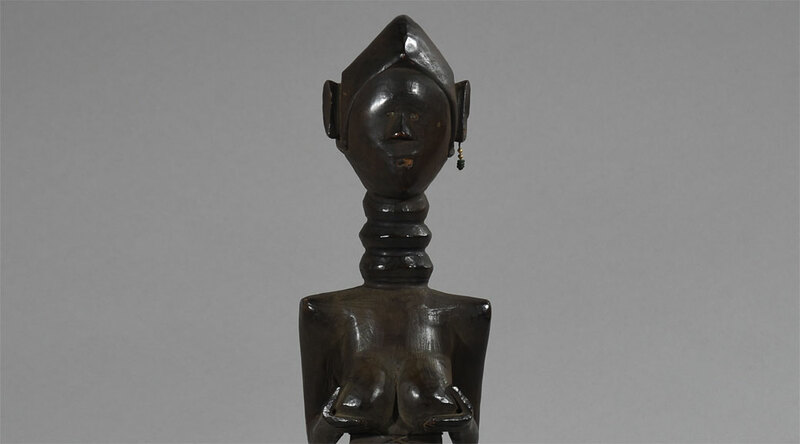 This beautiful, sensually radiating female figure is characterized by its voluptuous breasts and a graceful face with a puzzled facial expression, small twinkling eyes of glass beads and a nice little pearl earring. In the mouth appears a sharp ‘steel tooth’. 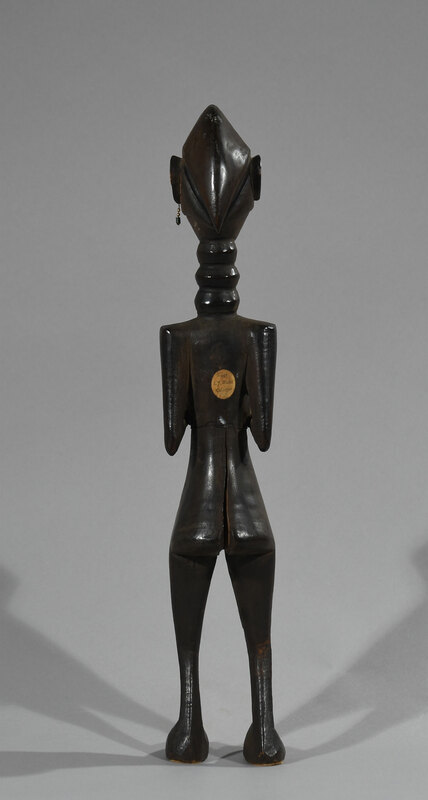 This beautifully carved standing female figure with its exquisite and challenging forms was used in the context of initiation societies governing the life of the Mende, including the sande, njayei, humoi, and yassi societies. 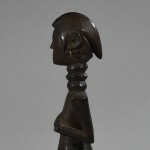 These figures conform to classic Mende ideals of beauty as seen in the masks, including the distinctive tightly-braided coiffure, narrowly squinting eyes, petite face and ringed neck. Such figures were known as minsereh and may have had a medicinal function (Mato and Miller 1990: 69). 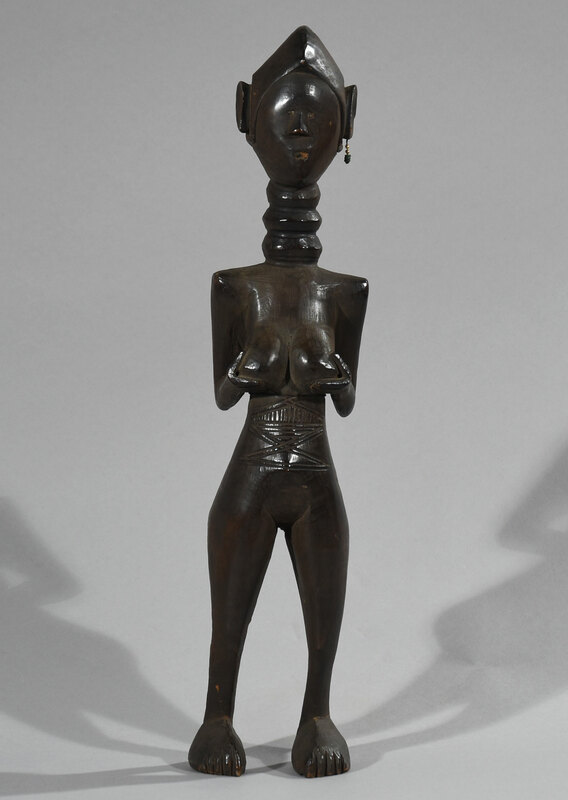 The Mende peoples of Sierra Leone have several social and religious societies, the sande or bundu for women, the poro society for men and the yassi society, which admits both male and female members. These societies are responsible for the initiation and socialization of young women and young men into adulthood. Unusually in Africa, senior members of the sande association wear wooden masks called sowei which are exclusively for their use, unusual because they are women. Masqueraders are normally men, even when they play female characters. 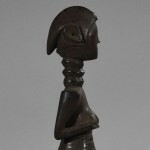 The minsereh figure is used by the leader of the yassi society, who is always a woman. It is mainly concerned with sexual behavior and punishes those who transgress the rules. The leader of the association consults the minsereh when a yassi law has been broken. 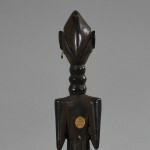 The carving does not represent an actual ancestor but is an embodiment of the characteristics of ancestral guidance. The minstrel has decorative scarification and wears a beaded apron to indicate that she has been initiated. Girls of between six and fourteen are initiated into the sande society for a period of about three years. They live together in a camp outside the village and are educated in preparation for marriage, domestic life, employment, musical pursuits and religious values. This experience helps to develop a sense of support and sisterhood amongst the young girls who are encouraged to develop social qualities such as leadership skills. Accompanied by maskers the young girls arrive back in the village and represent their new identities as young, eligible women with new clothes, hairstyles and new names. (Quote from British Museum). Condition: Apart from a crack in the back, the figure appears in a beautifully carved black coloured wood with a smooth and in some places shiny surface. Dimension: H: 43,5, W: 10,5, D: 9 cm. Age: Est. late 20th Century. Provenience: From a deceased Danish collector who originally bought the figure from the antique dealer L.J. Wickes (1922 – 1934) in Gloucester Road, South Kensington, London, England. The figure still bears seller’s original sign on the back. 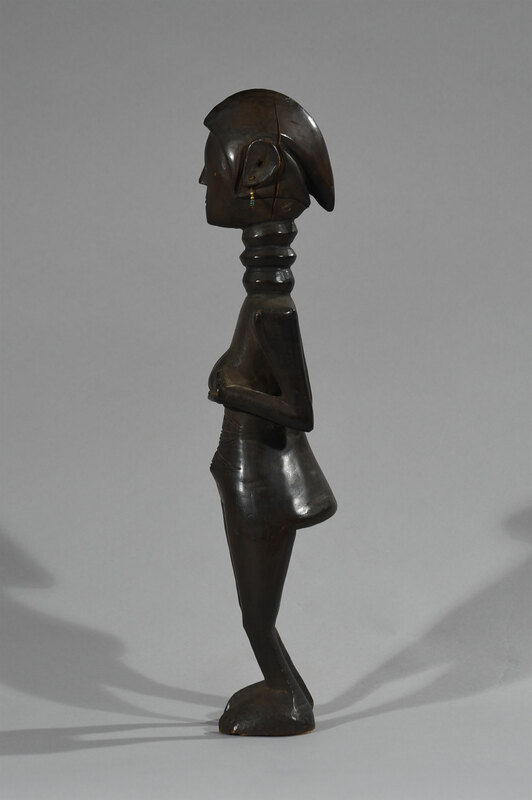 Literature: William Seigmann, Smithsonian Museum; “Visions from the Forests: The Art of Liberia and Sierra Leone”. Boone, S. (1986). Radiance from the Waters: Ideals of Feminine Beauty in Mende Art. New Haven: Yale University Press. Mato, D. and Miller, C. (1990). 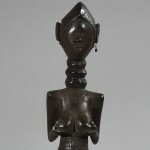 Sande: Masks and Statues from Liberia and Sierra Leone. 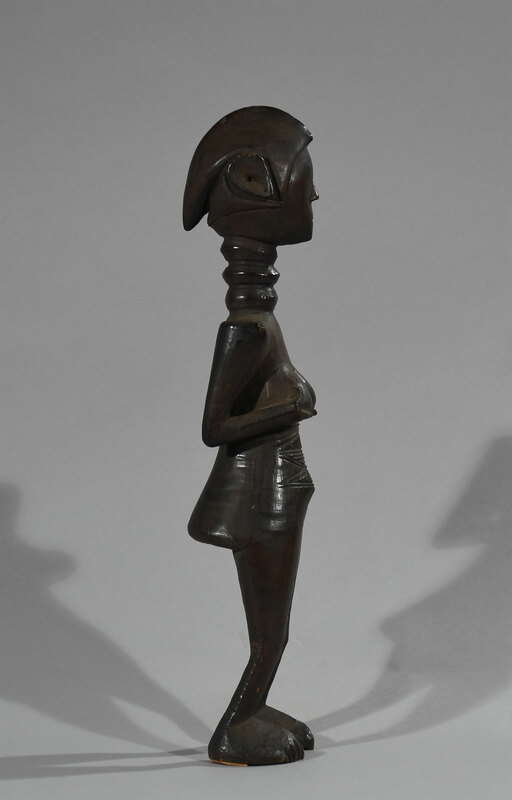 Amsterdam: Gallery Balolu. Phillips, R. (1980). The iconography of the Mende Sowei mask. Ethnologische Zeitschrift Zurich 1, 113-132. Phillips, R. (1995). Representing Woman: Sande Masquerades of the Mende of Sierra Leone. Los Angeles: UCLA Fowler Museum of Cultural History.